A subject that really interests me is the Green Roofing. I've seen quite a few pictures searching the internet with gardens and trees on top of the houses and I always wondered how this worked. By that I mean, how is it possible for a roof to hold a garden and not be damaged from the water that trees need to be sustained? After some small research, I found out that holding the garden was not as hard. In fact, green roofing has a lot of benefits and it is considered as part of sustainable construction. 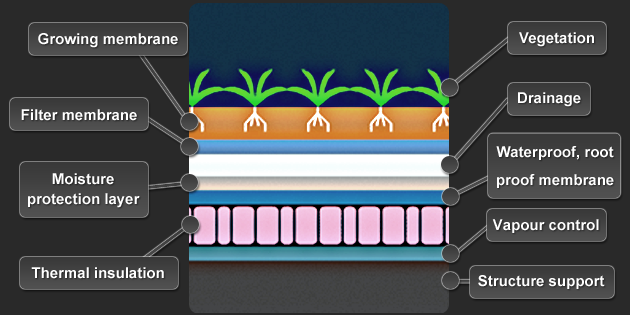 There are two types of green roofing, the extensive roof gardens and the intensive roof gardens. 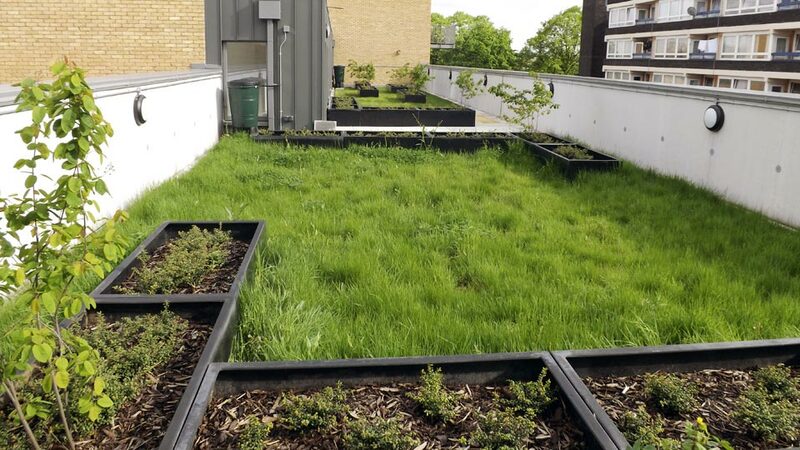 The extensive roof garden is a hardy mat of sedum vegetation requiring little maintenance whereas the intensive roof garden is an actual garden on the roof with lawn, trees, ponds etc. which needs as much care as any other normal garden. 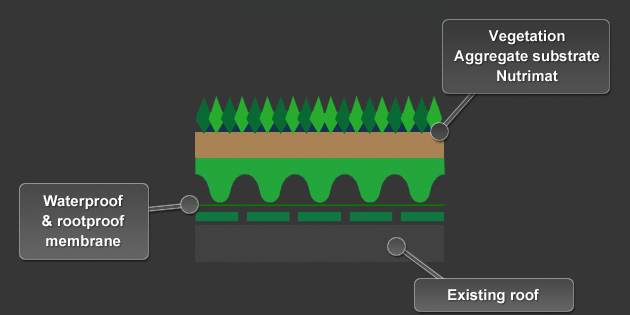 A green roofing has a lot of benefits to give you for your design. Most of them are environmental benefits, which will also affect the occupants of the building. And there can also be some financial benefits. A disadvantage that the green roofing would bring is that it costs for a green roofing to be applied in a building. First is the waterproofing that needs to be installed, and additional bearing loads need to be considered as the soil can be heavy if gathered together. In my opinion the environmental advantages are far greater than the one disadvantage that needs to be considered. Personally I think this is a great strategy that can be used for a sustainable construction as well as a great design of a building and it would be great if green roofing started being applied in buildings.